This week has led me to believe that winter is in fact, right around the corner. It’s a sad fact for walking in the park but quite a pleasant thought for the prolific knitter. It’s time to pull out the winter woolies (or whatever your preferred fiber might be) and bundle up. This year I’m pretty pleased with Hunter’s winter wardrobe. She is able to parade around town in warm sweaters and hats that have been knit by myself as well as some pretty knits from friends. 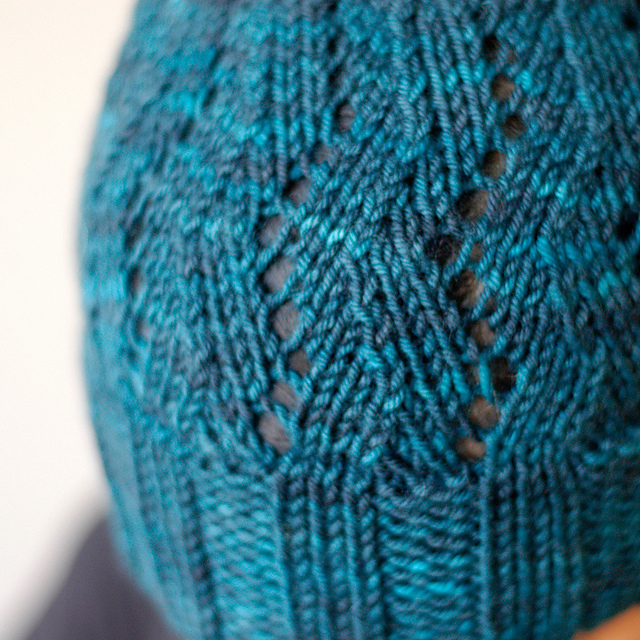 I did notice an important lack in my own knitterly wardrobe though: the knitted toque. I recently got some bangs (don’t ask, curly hair + lazy at styling + bangs = bad scene) so I’ll be adorning my head with hats this winter. Not having a job (unless you include running after an 8 month old yelling “please don’t put your finger in the electrical socket!” a job) means I don’t even really have to worry about hat hair, whose going to make me take it off? With this gap identified I will be casting on for Felicia Lo of SweetGeorgia’s latest hat pattern (in her Superwash Worsted, Riptide if you care to know) North Wind Hat. 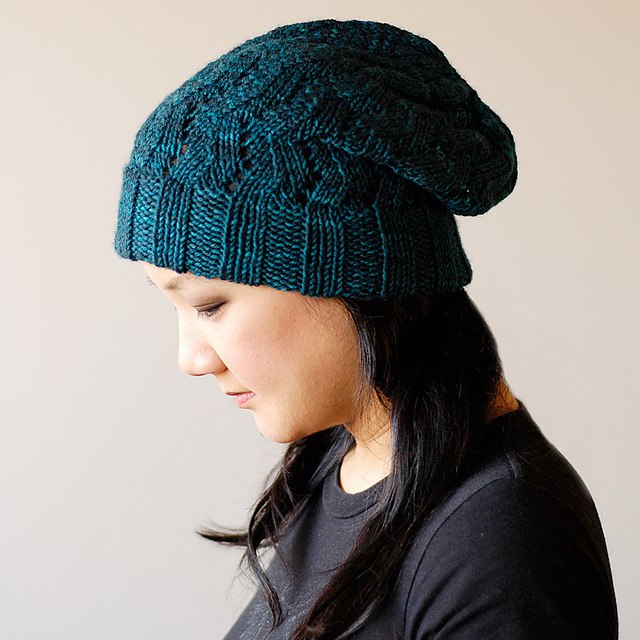 It’s done in a worsted weight but you could double a sock yarn for the same effect. You will need some 5mm needles and one skein of the Superwash Worsted, so cast on and enjoy! This entry was posted on Tuesday, October 11th, 2011 at 9:44 pm	and is filed under Uncategorized. You can follow any responses to this entry through the RSS 2.0 feed. Both comments and pings are currently closed.